Take a minute to get to know us a little better. 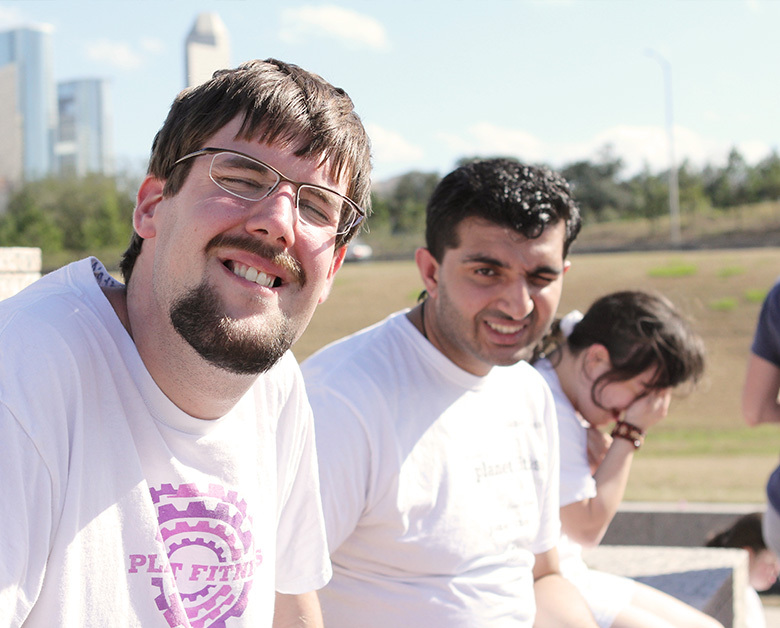 Young adults with intellectual disabilities deserve a life without limitations. Our program empowers our members to not only learn the skills necessary to function in the world we live in, but to enjoy a contributing life full of value and respect. With this goal in mind, the Summerhouse team has built and refined a creative, powerful, effective program that produces incredible results. Taking a customized approach to each young adult, our staff creates an environment where learning and progress are accelerated. We want our members to not just grow, but to bloom continuously, reaching their potential to uniquely contribute to the world around them. We focus on developing skills that contribute to a more active, engaged, and fulfilling life. 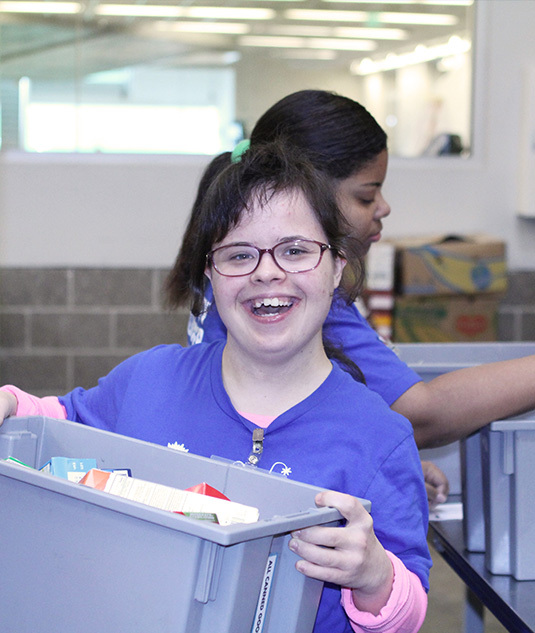 Our members grow into their potential with valuable work skills, empowering them to contribute to the community with meaningful, fulfilling employment. Our members become valuable, thriving members of their local communities through real-world opportunities to serve and connect right where they live, and beyond. Our members continuously expand their social abilities by learning to communicate clearly and interact meaningfully with their friends, coworkers, and community. Our members enjoy greater independence because of the life and relationship skills they develop and refine on a daily basis. We love hearing how Summerhouse Houston is impacting lives in Houston. Take a look at what some people are saying! I like coming to The Summerhouse because we do fun things and work at The Food Bank. I’m blessed to be with my friends and I love helping them. The Summerhouse makes me happy! I am truly blessed that Bekah has had such remarkable teachers and therapists on her journey through this life God gave her. And now The Summerhouse! The staff is remarkable and the love and care they give to our kids is just incredible. Thank you for your great vision and positive outlook you have for this great program. I’m so grateful that Bekah is part of it now. Vicki and I cannot thank you and the wonderful staff of The Summerhouse for accepting our son, Austin, into your program. This has been a Godsend for us, as Vicki and I must work, your program gives Austin a feeling of belonging and purpose in his life as a result of the volunteer work activities at the Food Pantry and other learning and recreational activities The Summerhouse gives him the opportunity to participate in. As many parents of special needs sons and daughters know all too well, not many people, even people who are our close friends and family come and knock on the door to ask kids like ours to play or engage in social events. The Summerhouse has filled that lonely void in Austin’s life. Almost everyone who meets Austin and gets to know him usually remark to us that given his condition, he is happy and outgoing and truly enjoys life, and I know that the engaging and supportive staff of The Summerhouse play a primary role in making Austin’s life happy and as a result, ours as well. We will never be able to adequately convey our gratitude for the blessing you’ve given us…. Thank you and God bless you and yours at The Summerhouse. The Summerhouse simulates a family environment that is safe and fun while meeting individual needs. We would love to welcome you to Summerhouse Houston and take you on a personalized tour of our facility and discuss how we can potentially partner together!